Pressure has become an everyday reality. Our hectic lifestyles demand that we juggle many different roles and responsibilities both at home and at work. This can take its toll on our vitality and create erratic, unpredictable behaviour. When we feel tense, tired, forgetful, depressed, irritable, burnt-out or without a sense of control, it is a clear sign that we need new strategies to cope with stress. 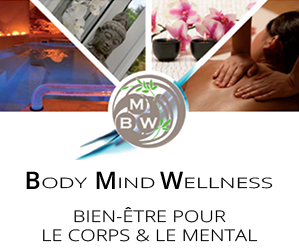 At the Body Mind Wellness Centre you can take time out to recharge your batteries. Its tranquil and relaxing environment provides an ideal setting to improve your physical, psychological and spiritual wellbeing. You can bring movement back into your life with Yoga and Brain Gym® that boost your concentration and create a supple mind and body. When body and mind no longer work against you, the time is right to throw unhealthy habits overboard and to eliminate fears, illness and self-imposed limitations. When inner harmony is restored, you will have more energy to deal with life’s daily challenges in a calm and controlled manner. You will be able to transform and lift your mood, establish fulfilling relationships, enhance your resistance to stress, draw exciting opportunities into your life and become the person you always wanted to be.